We enjoyed another good year in 2014 as Thai Beverage Public Company Limited (“ThaiBev”) made robust progress in its journey towards achieving our goal of becoming the leading sustainable beverage company in the region. Amid our initiatives to continually build on ThaiBev’s solid business platforms and further develop them, we restructured our core businesses into three product groups – spirits, beer, and non-alcoholic beverage. In doing so, we established management teams for each products group, paving the way for greater effectiveness and efficiency. One of the key developments was our unveiling of Vision 2020 around the end of 2014. 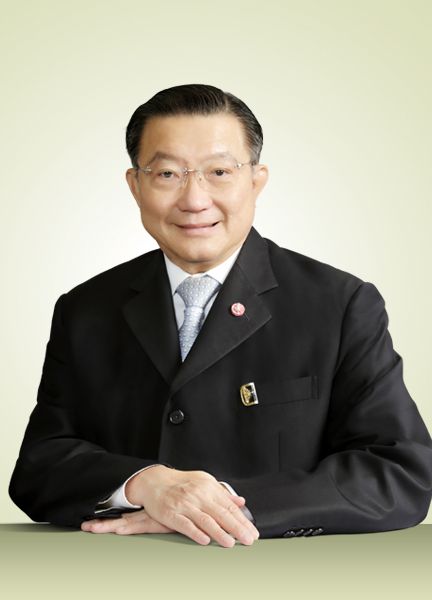 Vision 2020 is our six-year strategic roadmap, and underlines our intent to create synergy between our companies in order to elevate ThaiBev from its position as the leading beverage producer in Thailand, Singapore, and Malaysia to the leading international beverage producer and distributor in Southeast Asia. Creating such synergy would also better enable us to offer consumers a portfolio of the best products; enhance career opportunities for our staff and maximise their potential; as well as deliver sustainable returns to our trade partners and shareholders. Although the political situation in Thailand and other developments affected the country’s economy, dampened the consumer confidence index, and posed challenges to businesses, ThaiBev continued to grow in 2014, achieving a higher net profit and earnings compared to 2013. Total revenue increased 4 percent over the previous year, to Baht 162,040 million. On the back of an improved performance by ThaiBev’s alcoholic beverage businesses, we reported a net profit of Baht 21,433 million, representing a satisfactory year-on-year growth of 12.8 percent. Accordingly, I am delighted to inform you that the Board of Directors has approved a dividend payout amounting to Baht 15,317 million or Baht 0.61 per share, a record high since ThaiBev’s listing on the Main Board of the Singapore Exchange in 2006. We are proud to announce that our alcoholic beverage businesses delivered stable revenue and profit growth, and remained the leader in the spirits market. In addition, our beer business started returning profits as we successfully done pricing and marketing management. 2014 also marked our second year of expansion into the carbonated soft drink market in Thailand. We accomplished satisfactory growth in terms of market share, and are determined to boost this further by innovating and refreshing the packaging of our products to ensure that they continually appeal to target consumers, and are modern as well as suitable for each distribution channel. Expanding ThaiBev’s non-alcoholic beverage business is one of our core growth strategies, and we will continue investing in and diversifying our non-alcoholic beverage products in both domestic and international markets so as to become the leading total beverage company in the region. To this end, ThaiBev will remain focused on collaborating with Fraser and Neave, Limited (“F&N”) and on further leveraging the synergy between our beverage businesses. We plan to tap on our modern production technology and introduce more F&N products to the Thai market in 2015, as well as optimise product flows through our extensive distribution network in Thailand. In addition, we intend to expedite our expansion in the fast-growing ready-to-drink green tea market by boosting business activities and reaching out to a larger consumer base in Malaysia and Singapore, with Oishi – the most popular and best-selling green tea brand in Thailand – as a core brand. I would like to express my thanks to the Board of Directors, the management team, and all employees for their tireless devotion towards enabling ThaiBev to achieve our goals; and my appreciation to our customers and business partners for their generous support throughout the year. Most importantly, I would like to convey my gratitude to all shareholders for your unwavering trust and confidence in our vision and aspiration to become the leading total beverage company in Asia with truly stable and sustainable businesses. I look forward to your continued support in the future. 2014 was a challenging year for businesses in Thailand. Over the course of the year, political events and other developments affected the country’s economy and consumer confidence index. In addition, Thai Beverage Public Company Limited (“ThaiBev”) was faced with an excise tax increase, levied on alcoholic beverages, that was introduced at the end of 2013, as well as intensified competition in the non-alcoholic beverage market, and a continued decline in on-premise consumption. 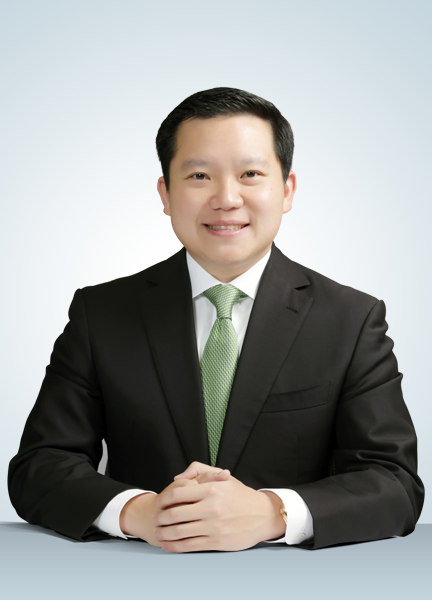 Yet, despite these headwinds, ThaiBev delivered a respectable set of results, with total sales growth of 4 percent year-on-year to Baht 162,040 million in FY2014. we established a new subsidiary, HORECA Management Co., Ltd, which is focused on growing our product sales and expanding our services to hotels and high-end restaurants. It is also a delight to report that our beer business enjoyed a net profit on the back of our initiatives to adjust product prices and control expenditures in 2014. Moving forward, we will leverage on the momentum that has been built and drive the business towards greater profitability. on-premise consumption, especially during the first half of the year. Furthermore, competitors also deployed aggressive strategies to expand their market share, intensifying the already fierce competition. To defend our market share, we focused on raising awareness of our brands through continual marketing activities, and refreshed the packaging of some products to better meet the demands of various distribution channels and appeal to different target customers. We are committed to growing our non-alcoholic beverage business. Our expansion into the segment is among one of our key strategies to ensure customer satisfaction through a diversified portfolio while benefitting from the advantages of ThaiBev Group’s extensive distribution network. As for our food business, strengthening brand awareness and increasing customer engagement were our two areas of focus for the year. In line with market trends, we launched attractive campaigns to customers at our over 200 restaurants throughout the year. In the same year, we also opened a central kitchen for Oishi. The world-class production facility elevates our service standards and supports our drive to expand Oishi’s Japanese food chains as well as frozen and chilled food business. We sought not only domestic growth, but also targeted overseas expansion. Two Shabushi restaurant outlets were launched in the Union of the Republic of Myanmar in 2014, and we plan to open more outlets and export more ready-to-eat meals to ASEAN countries. We are determined to develop ThaiBev into Asia’s leading total beverage company, with businesses that are genuinely stable and sustainable. Our six-year strategic roadmap, Vision 2020, sets out the goals we need to achieve in order to rise above the competition and be successful regardless of any changes in market conditions or demands in the years to come. Vision 2020 consists of five key imperatives – growth, diversity, brand, reach and professionalism. Steered by Vision 2020, we will embark on more business and operational collaboration initiatives with our strategic partner Fraser and Neave, Limited (“F&N”), leveraging our combined distribution network and market expertise to increase sales, and making co-purchases to increase cost savings. This will help strengthen and solidify our market-leading position in Southeast Asia. ThaiBev and F&N have already begun working closely together, taking steps to pave the way for the launch of F&N products in Thailand in 2015. In line with our aspiration to be the epitome of a professional organisation, we launched a Management Development Program for supervisor-level employees in 2014. The program will help ThaiBev groom employees with high potential for management by enhancing the breadth and depth of their capabilities. In addition, we rolled out initiatives to facilitate the internalisation of our Core Values with our staff from across the organisation, in order to foster solidarity, inspire teamwork, as well as motivate better performance and efficiency. 2014 was indeed a good year for ThaiBev despite the external challenges we were faced with. I would like to thank everyone who contributed to our success and made it possible. I would like to express my gratitude to you – our shareholders – for your faith in us, and to our trade partners and our customers for their trust and support. I am also grateful for all of our directors, executives, and staff for their steadfast devotion and dedication over the years. As ThaiBev moves further towards securing an even more stable and sustainable leadership position in the region, we look to continue delivering healthy growth and upholding excellent corporate governance standards, creating the greatest value for all our stakeholders.